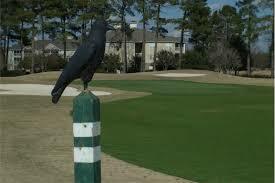 What to expect when arriving at Crow Creek Golf Club? That is a weird title to an article right? Not really. Many golfers will say that the overall experience at a golf course is as important as the quality of the golf course itself. Well one thing that golfers are sure to get when they arrive at Crow Creek Golf Club is an experience that they will not soon forget. First of all the view of the beautifully constructed club house as golfers drive into the property off of highway 57 is amazing. Pulling in off the road and turning up the drive to the clubhouse is picture worthy. Then the first rate customer service kicks in right as they are greeted at the bag drop and continues through the moment golfers leave the property. The bag drop crew greets golfers as they pull up with a warm smile and a hearty “Welcome to Crow Creek” as they take golfers bags from their cars to the staging area to prepare to load them onto carts. As golfers enter the building through the wonderful entry way with high vaulted ceiling they turn left and make their way into 1 of the best golf shops along the Grand Strand. Anyone who has met the fashionable, PGA Head Professional Jimmy Biggs, will not be surprised with the outstanding array of apparel located in the golf shop. Hats and shirts of all styles and colors jump right out before reaching the counter. There are shorts and shoes along with golf balls, towels, and clubs as well. It is such a cool shop that players almost have to buy something as a memento of their visit. The newly renovated restaurant and bar area is a fantastic place to grab some food and drink whether it is before the round or after. The menu is great the food is delicious and the beer is cold! The ladies that take care of the guests are wonderful and happy to help with anything needed. So far we have had at least 3 wonderful experiences and we haven’t even stepped on the golf course yet. The course itself is outstanding! Crow Creek boasts tifsport Bermuda fairways and newly redone V8 bent grass greens. They also added new tee boxes and refurbished some bunkers in 2017. The experience golfers get on the course is really the cherry on top of a great day at an outstanding facility. It will leave golfers wanting to return to Crow Creek again and again. To make a tee time click on the Tee Time tab at the top of the page or call the golf shop at 910.287.3081.